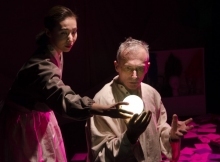 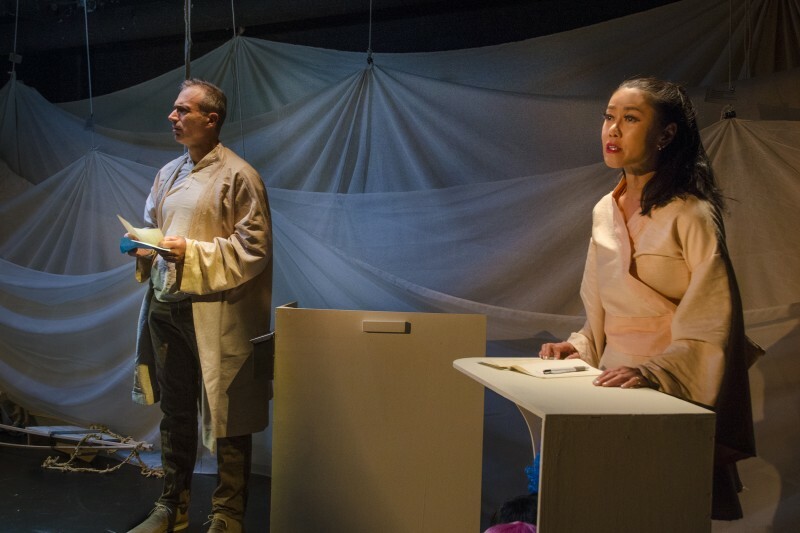 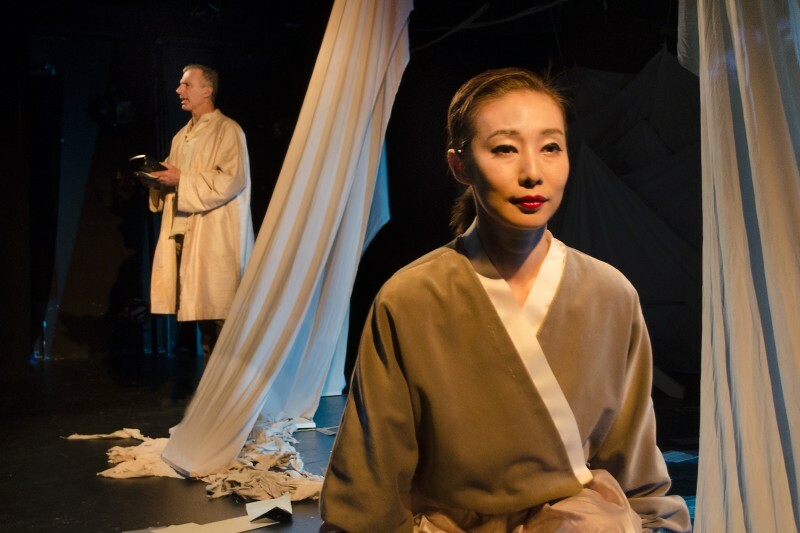 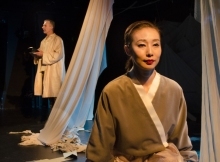 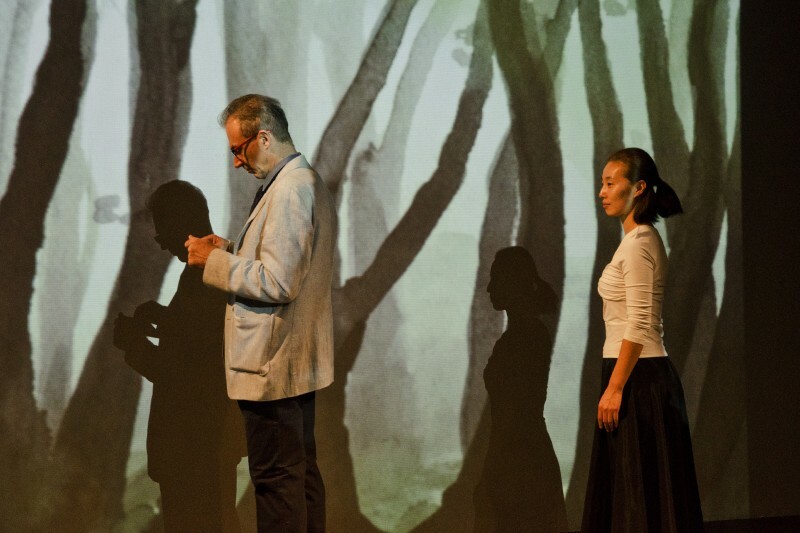 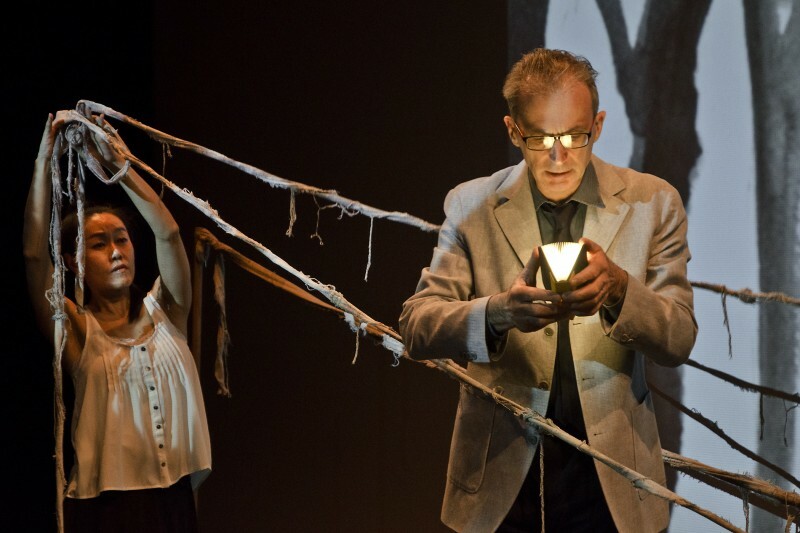 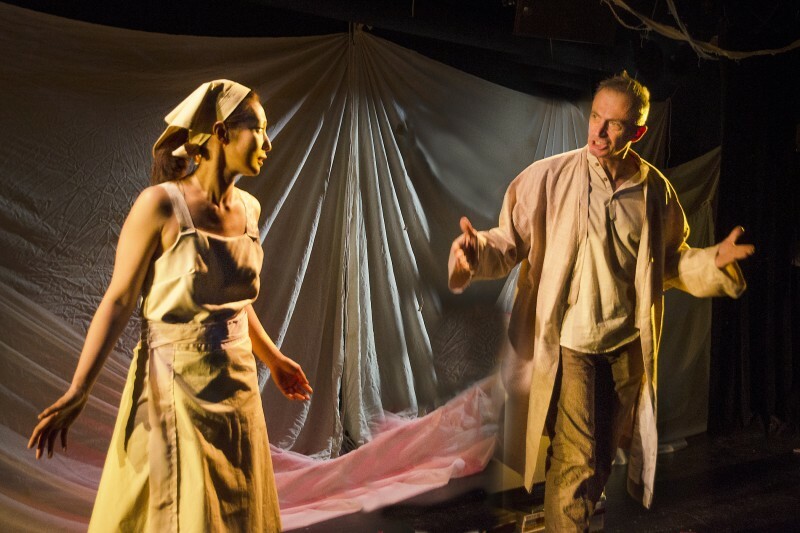 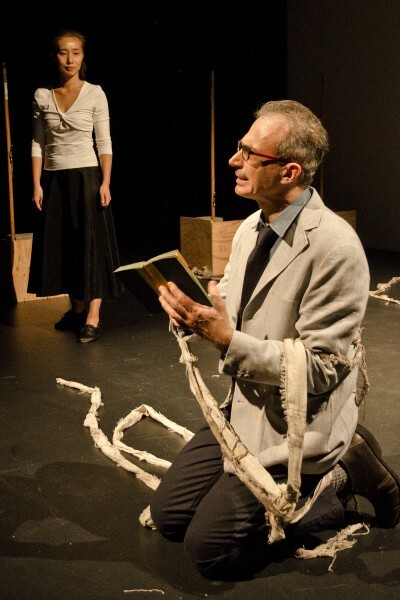 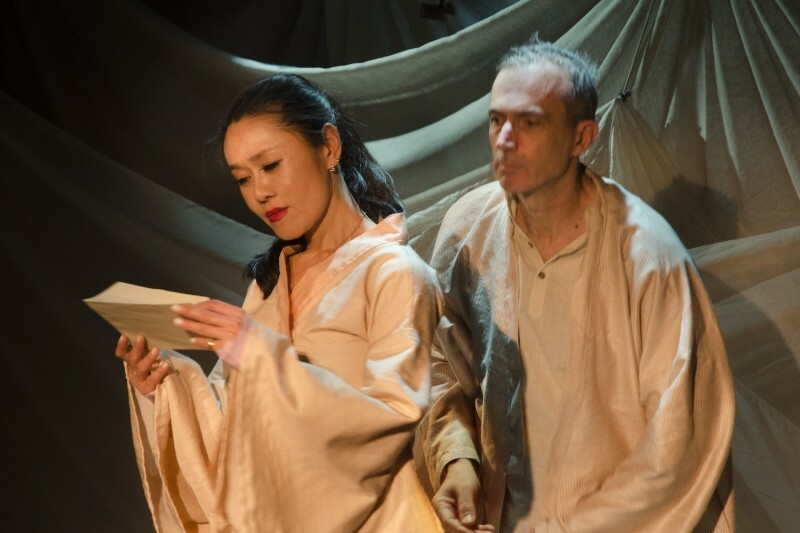 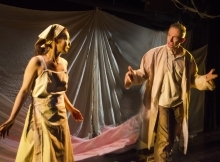 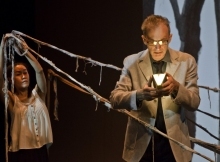 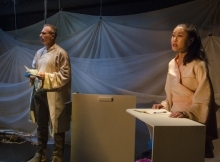 “It’s complicated.” Capturing the drama only love can bring, Concrete Temple Theatre’s world premiere unravels the knotty love story between a man in New England and the woman he left behind in Korea. 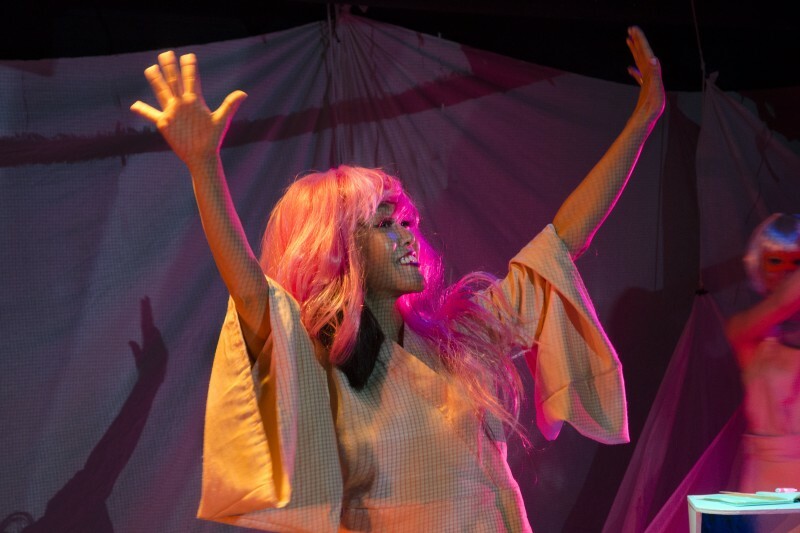 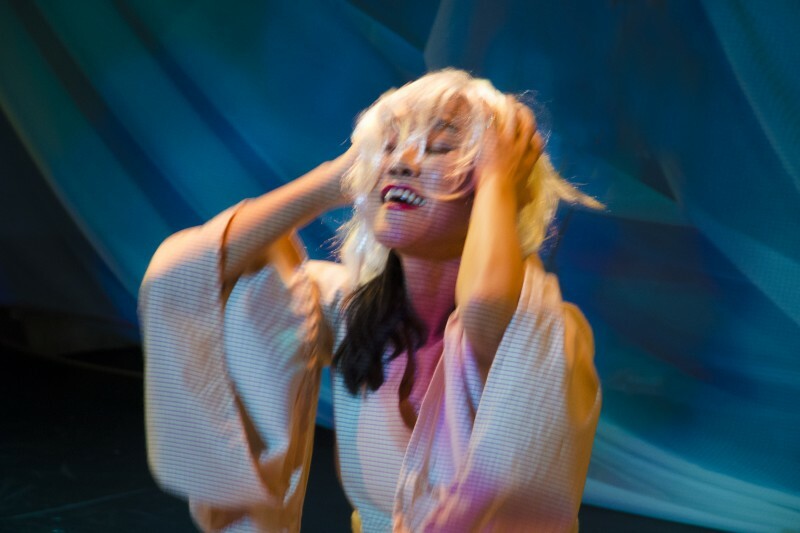 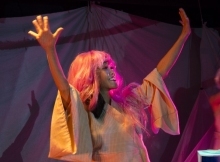 Original composition, dance and visual theatre fuse in a bewitching landscape of dreams and desires, karaoke and kimchi, in the playful and profound odyssey of love, REMEMBERING EVANGELINE: 에반젤린을 회상하며. 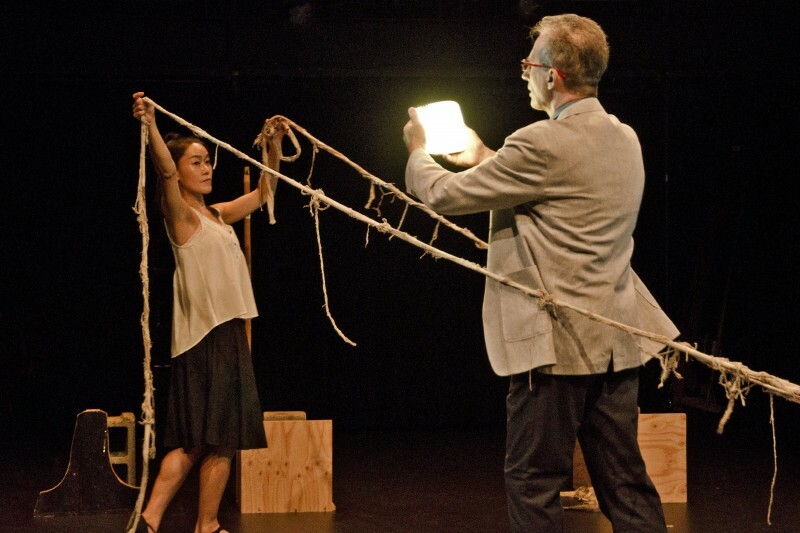 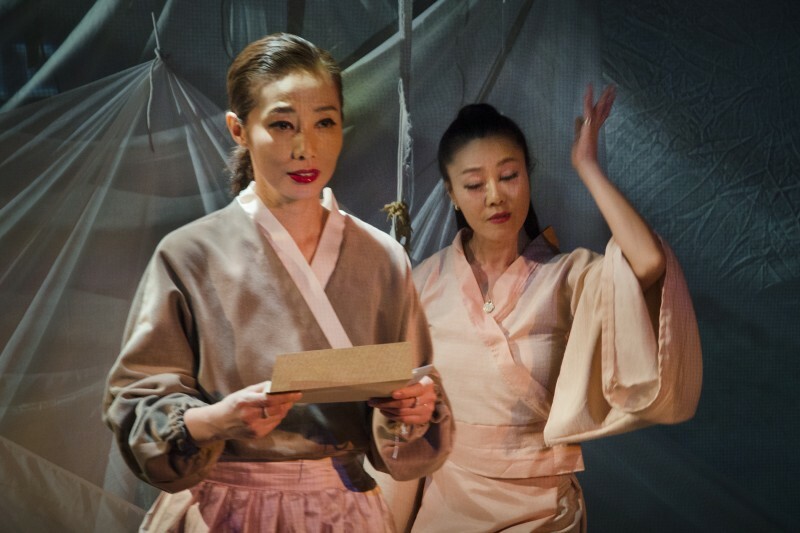 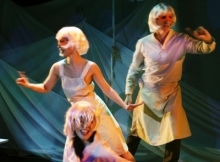 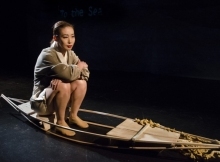 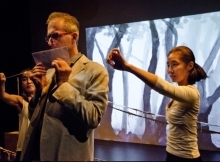 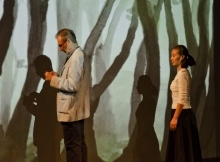 REMEMBERING EVANGELINE: 에반젤린을 회상하며 was created in response to Henry Wadsworth Longfellow’s poem “Evangeline, A Tale of Acadie.” The play presents the perspectives of the play’s three characters: John, Eunji and Mariko (their daughter). 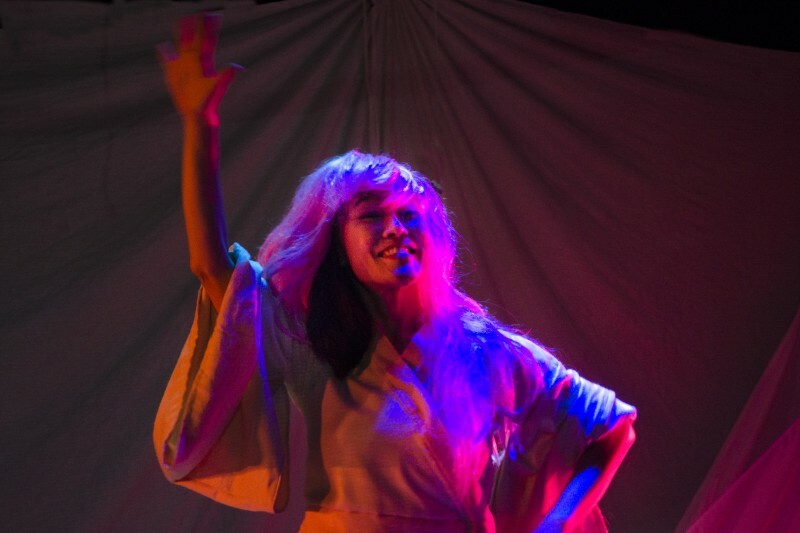 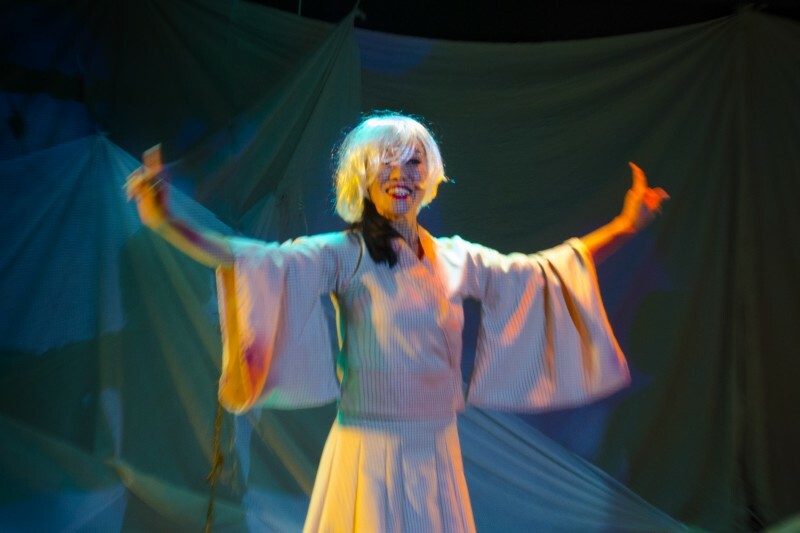 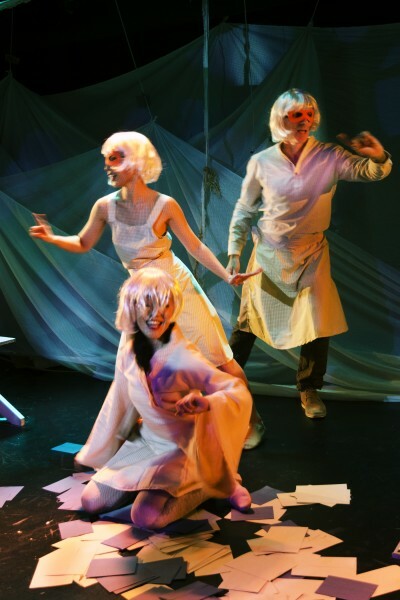 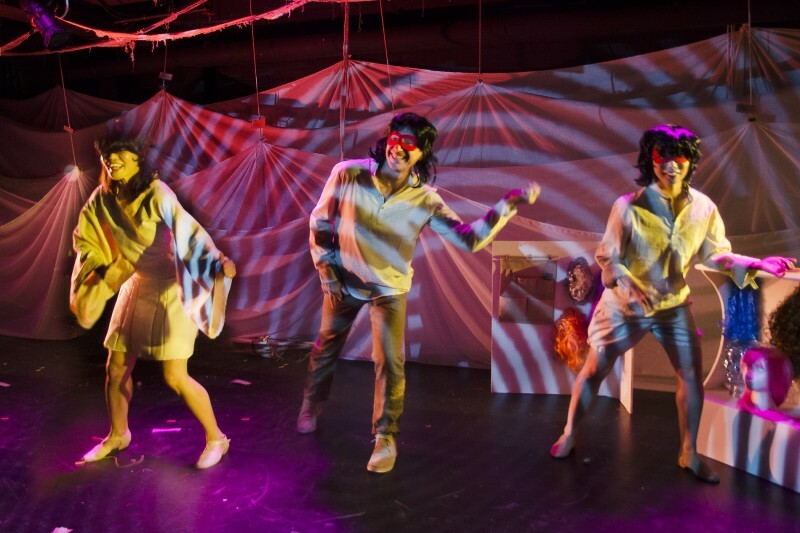 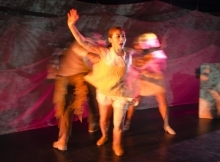 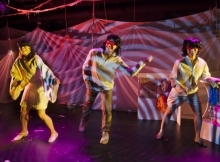 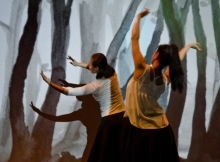 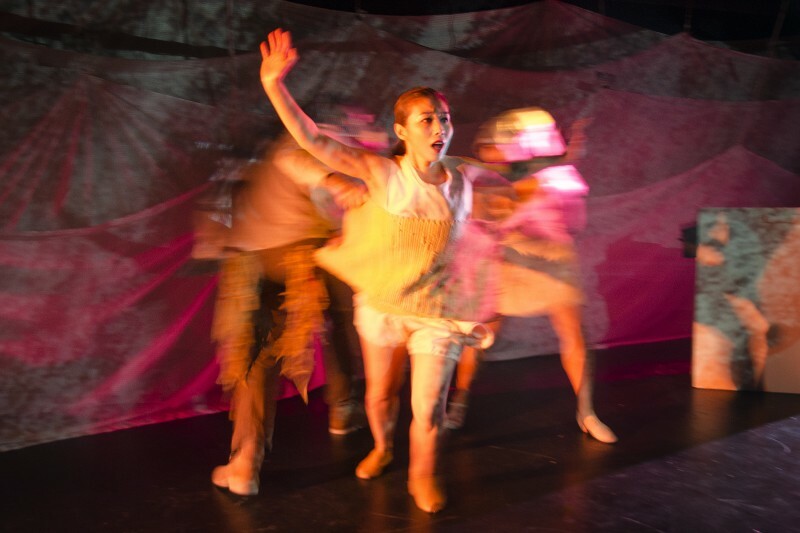 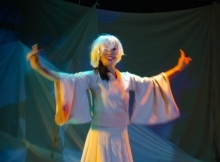 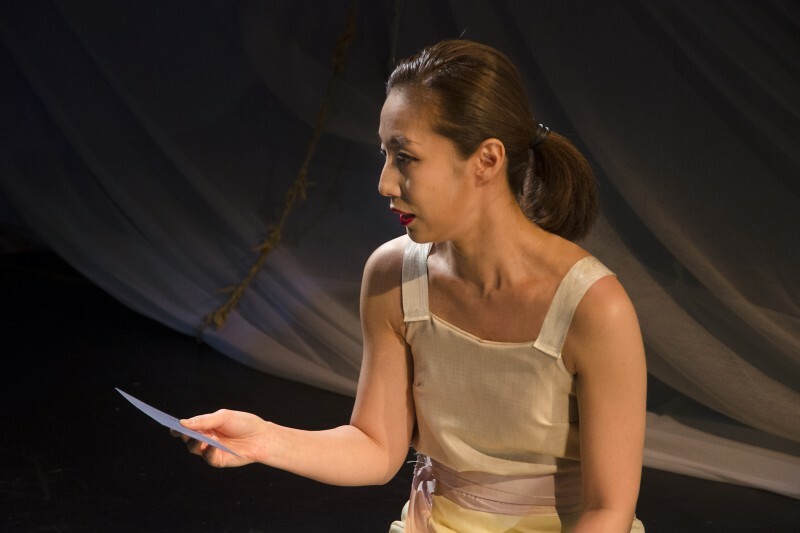 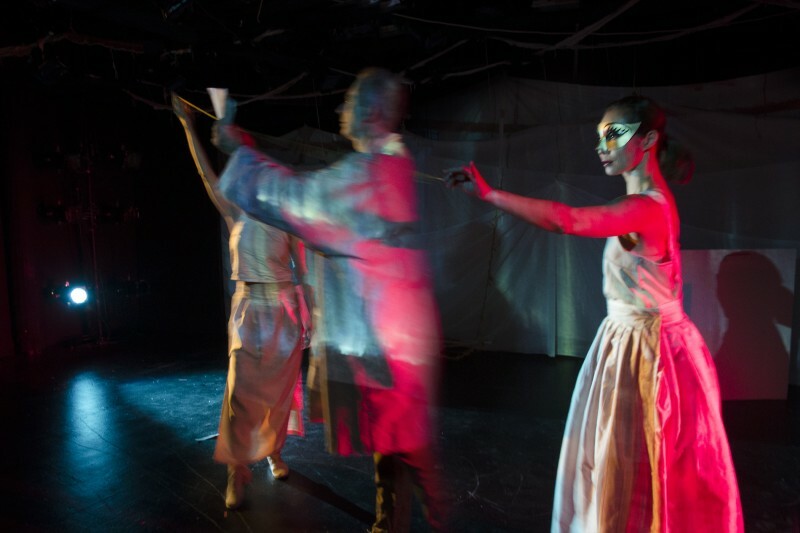 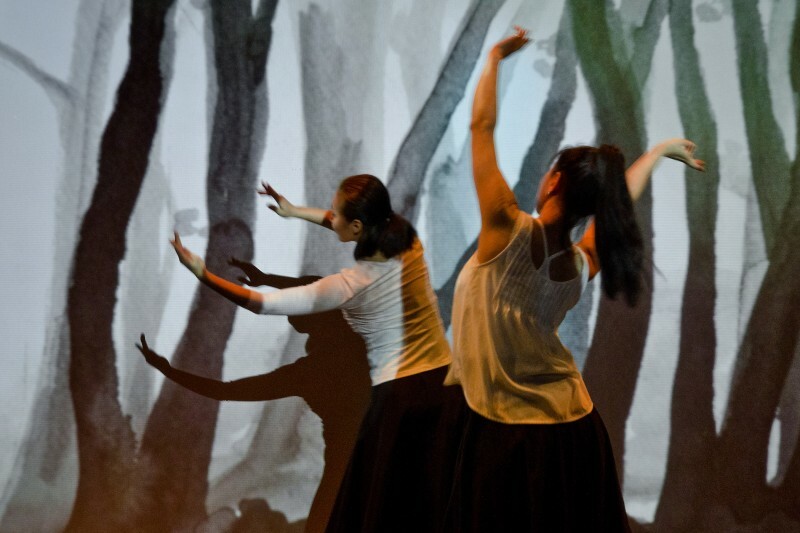 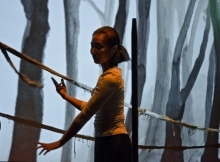 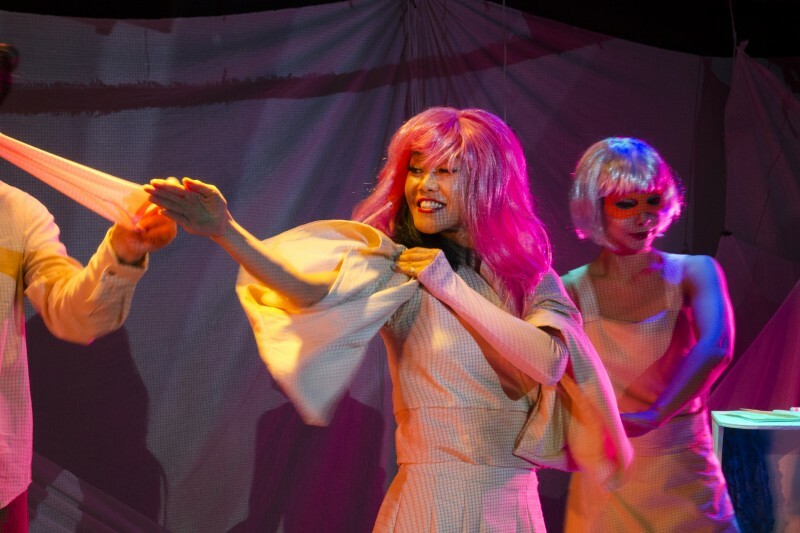 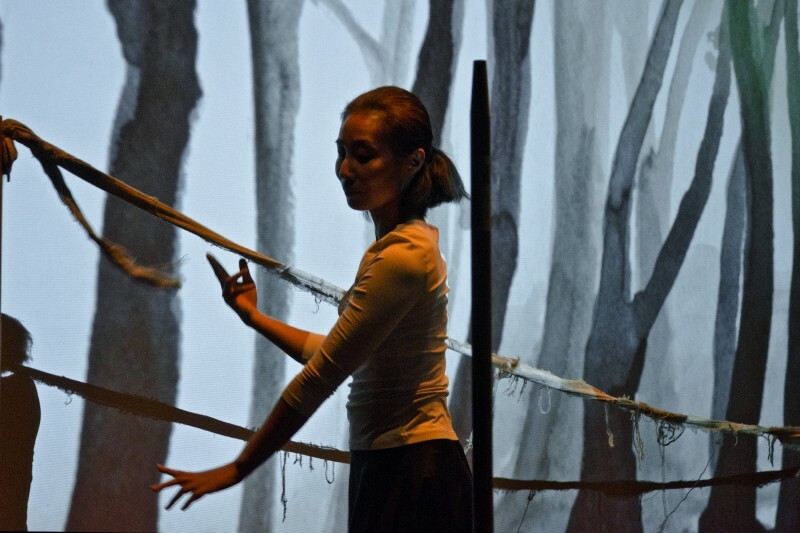 REMEMBERING EVANGELINE: 에반젤린을 회상하며 is a devised work with Text and Direction by Renee Philippi, Design by Carlo Adinolfi and choregraphy by Sook Kim and Eun Sung Lee, Noree Performing Arts. 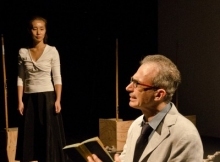 Performers are Carlo Adinolfi, Sook Kim and Eun Sung Lee. Casey McLain is Lighting Designer and Stage Manager. 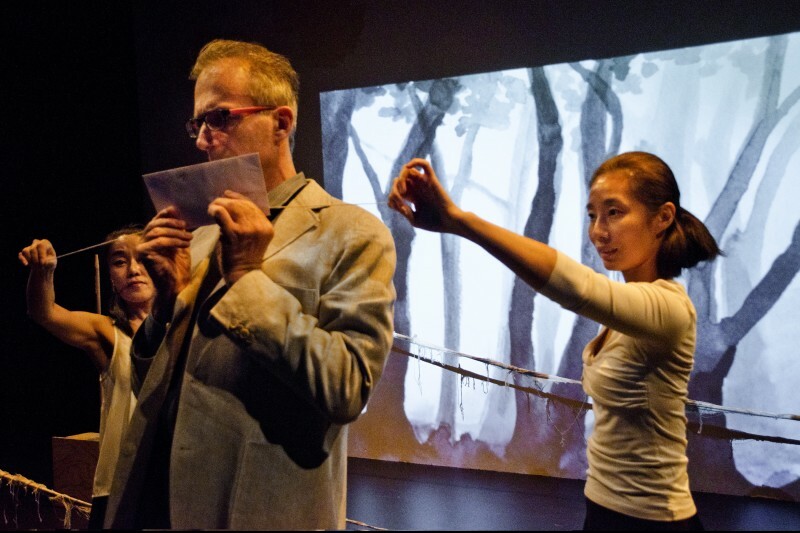 Sound Design by Eric Nightengale. 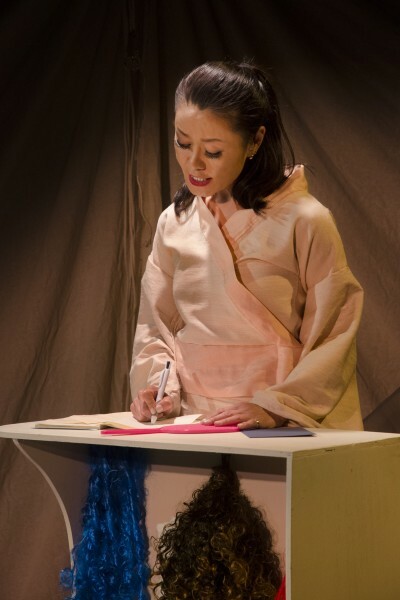 Design Assistant: Avigail Gutfeld and Costume construction: Maria Grande.